I forgot to mention yesterday that we had a green Christmas. We've had snow about 3 times so far this winter but it only lasts about a day or two. 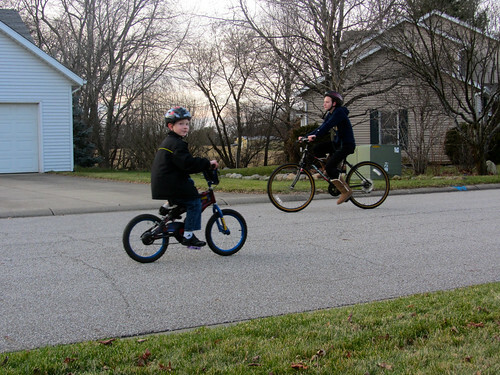 Today Meg and Kade took advantage of the lack of snow and the 40 degree temps to ride their bikes. Maybe global warming is real. Or maybe we'll be buried in snow from January to April. Who knows.